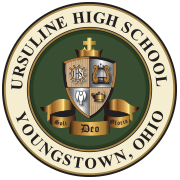 Ursuline High School subscribes to several online resources for student research and enrichment. These resources provide students with credible information from reliable, unbiased sources. Students have been given user names and passwords in their English classes. If you’d like information regarding the databases, user names or passwords, please email Maggie Matune (mmatune@youngstowndiocese.org).